Enter into a world where your job is based on numbers, age, skill, and confidence. Where you can be placed in a heart beat. Where you can go from zero to hero back to zero. That is where we find ourselves in this story. Easton Wydler is trying to get back to the lineup after a shoulder injury placed him on the DL (baseball is the sport we are talking about now). It all comes down to new trainer Scout to nurse him back to health, but there is a lot more riding on this relationship. Like his heart. I absolutely love the words that K. Bromberg writes down. She is able to extract emotions without your knowledge and consume them with every letter that she puts to paper. Easton is bad boy on the surface but a good guy deep down. Scout has a laundry list of problems that make it hard for him to just win her over with his good looks and words but it’s the struggle that makes it all worth while. I am a big baseball fan, so I have high expectations when it comes to romance in baseball books. This book was not able to not only meet my expectations but exceed them. We find that there is a lot riding on whether or not Easton can make it back to the game because it also dictates what happens with Scout. That romance between Scout and Easton! Holy smokes! There are so many comparisons between the sport of baseball and their love life and will make you look at baseball in a new way. And those few scenes when they are in the basement of his apartment, make sure to not be in a public place. Because you are going to blush. As the book comes to an end we, we do get a bit of a cliffhanger, so be warned for that. It’s not one of those OMG I am going to hunt down the author and make her tell me what is going to happen next kind of cliffhangers, but it’s definitely something to be aware of. A lot happens in a short amount of time that it might be hard to keep up with where the story is going but it does set up nicely with the next book because you are going to have a lot of questions. 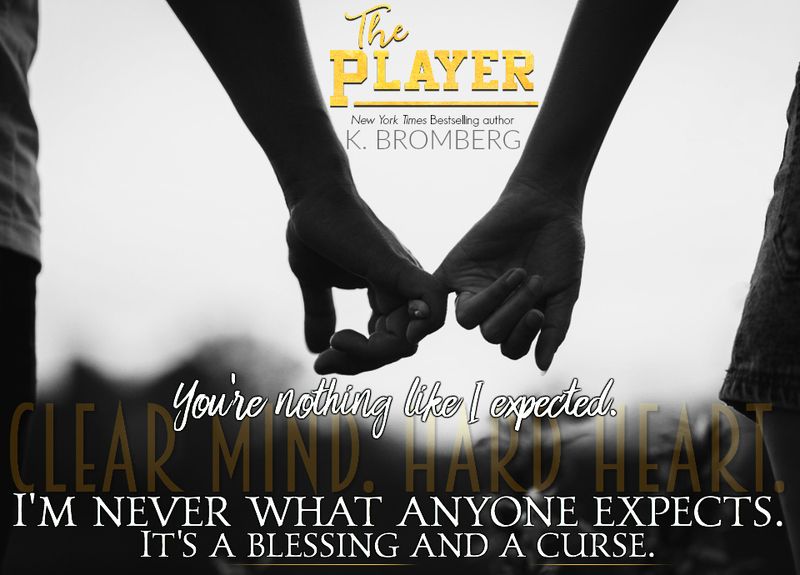 This entry was posted in Books and tagged Inkslinger PR, K. Bromberg, The Player.